We are committed to helping our female clients lose weight by matching them with the most suitable and experienced personal trainers available. As Singapore’s leading personal training agency, our personal trainers incorporate the latest, most effective female fat loss training methods to assist clients in achieving their weight loss goals. The difficulty for females wanting to lose weight is they don’t have as high a concentration of muscle mass and the same hormonal output as men, which are both critical factors in successfully dropping body fat permanently. Our personal trainers understand these key differences and know what works when it comes to maximising female weight loss. At Personal Trainer Singapore our female weight loss methods are based on scientifically proven research combined with years of experience helping women transform their bodies. Our personal trainers individually tailor female weight loss programs to suit a wide range of needs. Because weight gain can be tied to binge or comfort eating, our trainers are also experienced in helping clients come to terms with the emotional issues that are causing them to develop unhealthy eating patterns. We’re dedicated to providing the highest standard of weight loss personal training for ladies to enhance their body image and confidence. Who is suitable for this Weight Loss Program? The female weight loss personal training program is suitable for all women who are committed to achieve a healthy weight for their body size, age and health. It’s ideal for women needing further motivation to increase their fitness and slim down, such as those who have been suffering from work stress and have let their exercise regime slip, or alternatively are too poor and struggle to find time to exercise. Other women who experience amazing weight loss benefits from this program are those who’ve had a baby and want to lose additional baby weight or women who have lost weight and want to drop those last stubborn kilos. For women who suffer from food issues such as being a comfort food or binge eater, the female weight loss training program offers essential tips and methods that allow them to lose weight and develop a healthier lifestyle. Because the female weight loss training program is customised to individual needs, it provides women with the tools to not only lose weight, but also keep it off permanently. This makes it the perfect program for all women wanting to achieve a healthy body. Our personal trainers have spent years perfecting their female weight loss methods, training and nutritional advice and have developed a program that offers proven results. After being involved in the early stages of the program, generally clients will feel increased hunger and energy levels, as their metabolism is working more efficiently. After these early stages of the program you’ll notice that the kilos will start dropping off and you’ll feel more energetic, happy and healthy than you have in years! • Being able to fit into clothes again that you’d previously grown out of. These are just some of the many benefits that women can expect from the female weight loss personal training program. There are many others that women can experience depending on their personal program. 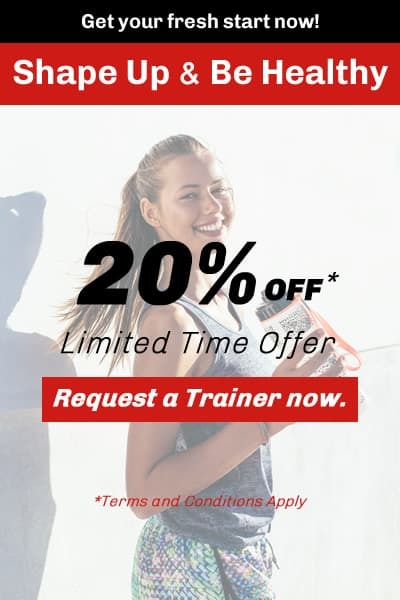 When you are matched with a Singapore personal trainer through us you have peace-of-mind you’ll receive professional fitness training and nutrition advice by a certified and experienced trainer. We take pride in finding the ideal trainer for every client to help them to achieve the weight loss results they’re after. All of our Singapore personal trainers go through a stringent selection process, so you’ll reap the benefits of having the best the fitness industry has to offer. Our Singapore personal trainers have extensive experience and training in female weight loss, enabling them to have the ability to individually customise a program for you that works for your body composition. Whether your weight loss goal is to lose weight, tone up, transform your lifestyle and become more active or develop better nutrition, our personal trainers offer programs that will help you reach these goals and more! To ensure our female clients get the best results from their weight loss personal training programs we also include the option of having an individually customised weight loss and nutrition plan created. As nutrition and diet both play a critical role in effective weight loss, we always advise our clients to have a weight loss and nutrition plan designed specifically for their needs. Our personal trainers are all trained extensively in diet and nutrition and can tailor a plan that will assist with your fitness program to help you lose weight more efficiently. 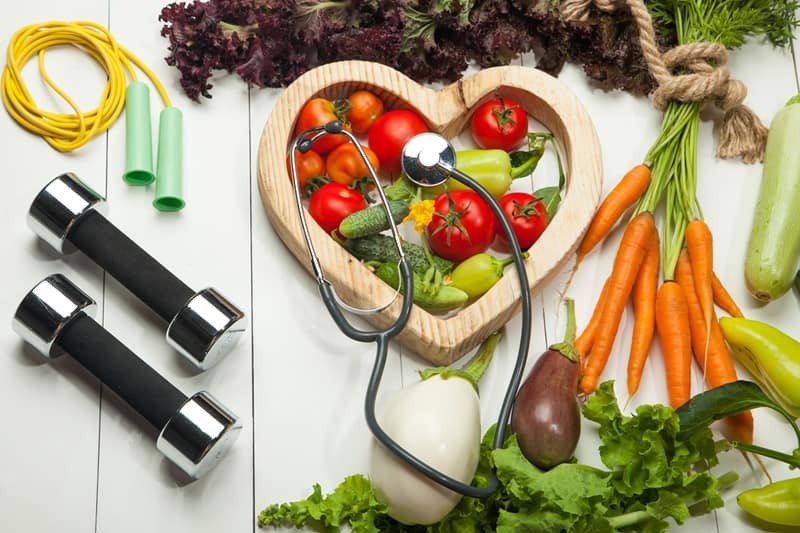 If you have any special dietary requirements our Singapore personal trainers will take these into consideration when creating your weight loss and nutrition plan. The addition of a weight loss and nutrition plan to your weight loss program means you can permanently lose weight by changing your lifestyle. Here are some of the top questions we are regularly asked about the female weight loss training program. Q) Does weight training make women bulky? A) While certain types of weight training can make women more bulky, most weight training programs designed for women are targeted to tone and harden. This means increasing lean muscle mass and decreasing fat, not bulking. Q) I’ve heard that performing the same workout on subsequent days isn’t a good idea, is this true? A) This will depend on the intensity of the exercise and the length of time between performing the same exercise. It’s good to incorporate cross training in your program, using different muscles in different sessions for optimal results, because this also gives your muscles time to repair between sessions. Q) When do I need to tailor my weight loss personal training program? A) It’s crucial to change your weight loss training program when you notice the results have started to plateau. Q) How important is adding a diet and nutrition plan to my weight loss program? A) By adding a diet and nutrition plan to your weight loss program you will drop any excess weight much faster. It will also help you to change your lifestyle, so you will be healthier in the long-term by developing better nutrition. Q) Do I need to disclose to my personal trainer if I have any health issues? A) Yes, you need to let your personal trainer know if you have any health problems to ensure the training doesn’t impact on these in a negative way. For example, if you have a heart condition and your trainer pushes you too hard because they’re not aware you have this condition it could result in major side effects. Achieve your goals and sign up now! Achieve your weight loss goals and become a new you now! Our Singapore personal trainers have the knowledge and expertise to help you slim down and tone up, so you can achieve the figure you’ve always desired. Even if you’re time poor, our personal trainers are happy to schedule your weight loss program to suit your individual needs and lifestyle demands. Our personal trainers will also come to you so you can train at a location that’s convenient, whether you prefer your home, apartment, business or the local gym for your training sessions.